Bella Audsley explores the rising trend of home-schooling and its place in the school system. Sir Ken Robinson, veteran teacher and the most watched speaker in TED’s history, is a strong advocate for personalised learning. In a climate where the average private school fees cost £14,102 per year and some state school classes are as large as 60 pupils, there has been a 65% increase in the number of children being schooled at home between 2009 and 2015. When certain circumstances call for students to take leave from mainstream education, home-schooling can create a learning environment that is as unique and individual as the student, and provide a life-changing turning point to get back on track with confidence, wellbeing and learning. As the positive value is becoming increasingly well documented, there is a variety of reasons for the rise in home-schooling support. Home-schooling can be a temporary choice to facilitate a family’s way of life, for example, if a family chooses to travel the world or if a child shows huge talent in one domain which means their education has to fit around their vocation. However, at Enjoy Education, many of the home-schooling programmes we have designed and delivered stem from pupils leaving school against their choice due to bullying, physical or mental difficulties which require a period of time at home, or behavioural difficulties leading to exclusion. Rather than students falling behind with their learning, home-schooling can provide a structured and supportive environment for families facing particular circumstances where their child can no longer stay in school. Whatever the case may be, a programme can be created to ensure that each child has the highest chance of happiness and success. 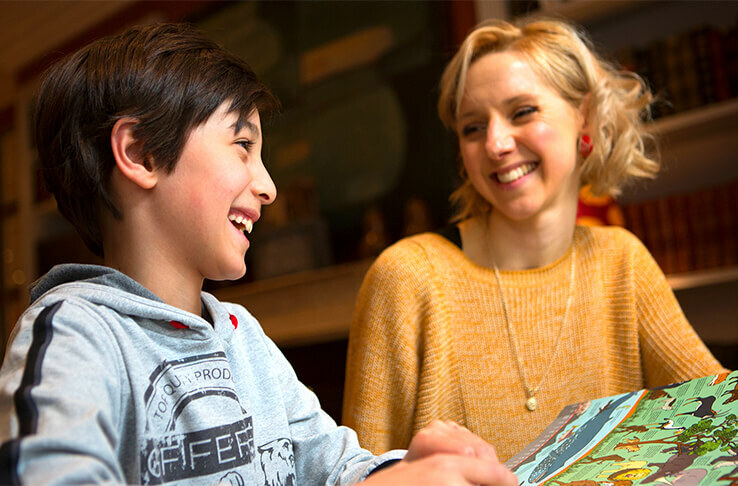 After a home-schooling period of one term, one father explained how his son “is now in mainstream school and loving it” and that “this transition would not have been possible without the invaluable time he spent with his tutors”. Another parent whose child has Asperger’s syndrome found that the “highly individualised, holistic programme brought [their] happy son back after a serious downward spiral”. Home-schooling is flexible at root and students can follow a bespoke learning programme which allows them to pursue their own strengths and areas for development in a way that best suits them and their journey back to school. As educators we know we have the responsibility to provide children with the best opportunities to reach their potential. Home-schooling teachers play a valuable and necessary role in supporting schools with interim support for students who, for whatever reason, are unable to be in mainstream education. By removing the stigma of home-schooling and building greater collaboration, we can move towards impacting more students’ lives and help ignite a love of learning for everyone; after all, individuality sits at the centre of improving attainment.